Back in the 1990s Liverpool was home to the 051 Cinema which featured a fabulous array of arthouse and foreign language films which weren’t being shown anywhere else in Liverpool. I saw some great cult films there including Blue Velvet and Tetsuo The Iron Man, but looking back now at the old listings, I wish I’d gone a bit more often while I had the chance. After it closed its doors in 1997 I was left rueing the lost opportunity to see films I’d only read about in those days before they became more available. The arrival of FACT in 2003 was very welcome but it didn’t quite replicate the diverse programme boasted by the 051. I began putting on ad hoc screenings in fairly basic surroundings at Next To Nowhere on Bold Street from 2007, showing some of my own collection, the sort of films I wanted to offer others the chance to see and be challenged or encouraged by. I spent many an evening watching political cinema with my new friends until falling numbers and technical challenges caused by the location led me to stop in 2015. Meanwhile I would occasionally pick up flyers from other like-minded people organising film shows in assorted pubs and basements across the city, often finding out about them after the event and wishing there was a better way for us all to communicate and support each other in our attempts to bring imaginative cinema to the people of Liverpool. So I was enthusiastic when contacted in 2014 by an acquaintance with the great idea of creating a website which would enable us all to list our events and find out where all the other ones were happening without having to rely on stumbling across a photocopied flyer on a tipsy night out. The Screening Film site has proved invaluable in linking up people and increasing our visibility. My delight was increased in early 2015 when I was approached again by the same person who had a vision of bringing all these people putting on screenings together in one physical venue. 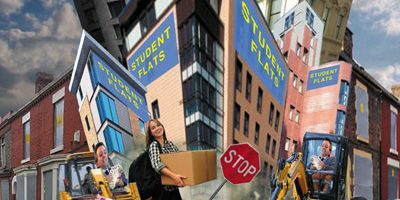 This would require some work as it did not yet exist, being merely an empty room in an old magistrates’ court on Victoria Street and would have to be constructed by hand! Fortunately there were many people as excited as I was by this prospect and with the generous help of many people who donated materials and time, we were able to create this cinema in barely 2 months. Working in freezing conditions we employed all our DIY skills (in my case, limited to applying a few coats of paint!) and the cinema appeared before our eyes in record time. 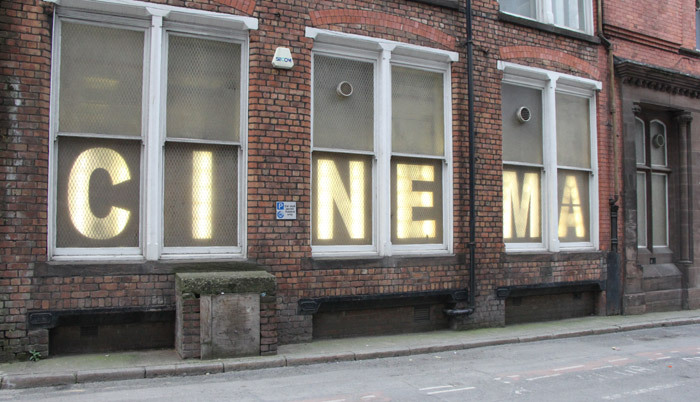 Liverpool Small Cinema opened its doors on March 19th 2015. Immediately visitors could see the difference between this and the chain cinemas. The traditional experience was replicated with the use of some donated uniforms, tear-off tickets, plush seats rescued from an old cinema, introductions given to each film and the low admission prices, but most obviously by the selection of films. The first month featured such diverse delights as the 1928 classic The Passion Of Joan Of Arc, Ken Loach’s documentary Spirit Of ’45, 1960s obscurity Herostratus, the infamous Freaks, new documentary on colonialism Concerning Violence, children’s animation and African cinema alongside recent releases Pride and The Lego Movie! This really went to show the range of interests held by the different groups involved, who were nevertheless more than willing to lend their time to assist in other people’s screenings, resulting in surely one of the most varied programmes to be found anywhere. Of course we are not perfect (yet!) and still aim to increase our diversity. Since its opening the Small Cinema has quickly become a celebrated addition to local culture, namechecked in many magazines and even tweeted about by Yoko Ono. It continues to exist as an alternative model for cinemas, run exclusively by volunteers and film enthusiasts for the sheer love of cinema and rewarding those who manage to locate it in its hidden corner at 57-59 Victoria Street. The end credits are regularly met with a round of applause from the appreciative audience who come back again and again and are often eager to become volunteers. We are slowly learning how to navigate the maze of licensing each film for screening, which sometimes requires a significant amount of detective work! The current programme has expanded to embrace a kids’ club, classic 80s horror, various film festivals, sci-fi and a season featuring women in Polish cinema. 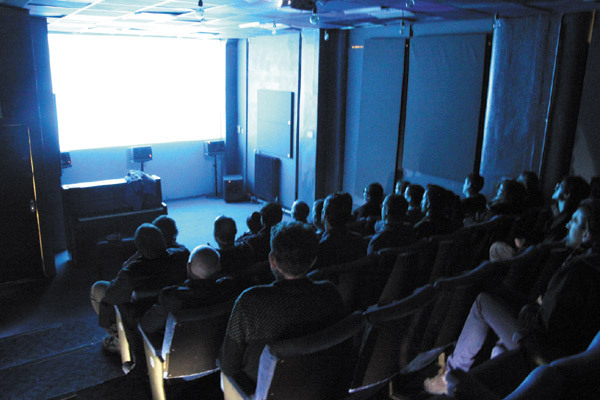 The cinema is open to approaches from anyone with ideas for screenings and has recently expanded its horizons to offer the newer volunteers a chance to help choose films and become part of what feels like our new ‘family’. Now it approaches its first birthday the team are beginning to think more about the project’s long-term aims and wondering where it will take us, but we are still loving our very own small cinema and the opportunities it gives us to meet so many good people and share our love of film with them.